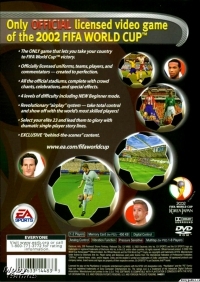 FIFA World Cup 2002 is the official game of the 17th FIFA World Cup, held in Korea and Japan between May 31 and June 30. It is based on the engine of FIFA Soccer 2002, so experienced Fifa players can get used for it quite fast. 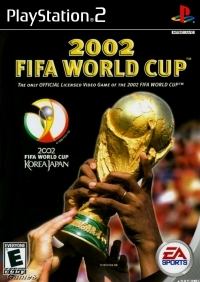 It is based on the 2002 World Cup - Korea and Japan, and includes all of the countries who promoted to the World Cup, and a lot more. Small statistics are shown for every country - their last biggest win, appearances at the World Cup, etc. to FIFA World Cupru victory. commentators â€” created to prfection. chants, celebrations, and special effects. â€¢ 4 levels ofdimcufty including NEW Beginner mode.